NVIDIA continues to play nice with consumers who bought the Shield and is now promising a long overdue feature that will make it more useful than ever before. If you own the $200 4K NVIDIA Shield, you'll be happy to know that you'll soon be able to play PC games on it. Obviously, you won't be able to play them directly on the Shield since the device doesn't meet the hardware requirement, but thanks to the so-called GeForce Now service, you'll be able to play any of the 225 supported PC games via streaming. You can download these games almost instantly and they will be stored on the cloud, not on your Shield. 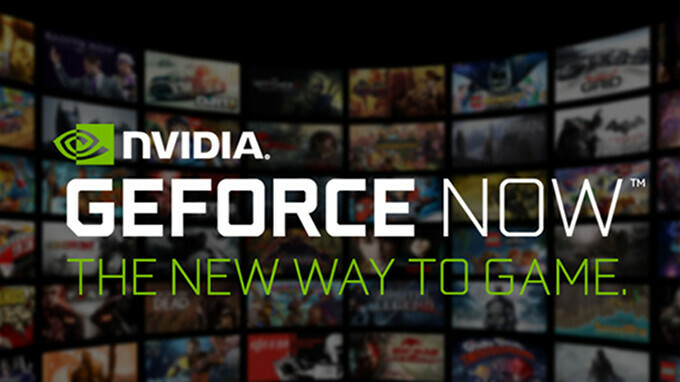 It's worth noting that the new GeForce Now service will replace the old one that's now available on the NVIDIA Shield but doesn't exactly do what the PC and Mac version does. The old service costs $8 per month and only lets you play games that you already own, but you can purchase new titles from Steam or Uplay. The new GeForce Now service will allow you to buy new games directly from the Shield, so you won't have to use a PC or Mac to do that. For the time being, the new GeForce Now service is free since it's still in beta, but it will have a monthly price once the final version is out. Hopefully little to no input lag on this ! Sure there is input lag. No less than 40ms. + Image degradation due to compression in fast-moving, complex scenes.